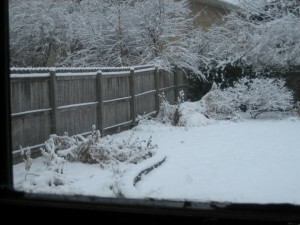 Santa delivered us a beautiful snow for Christmas! 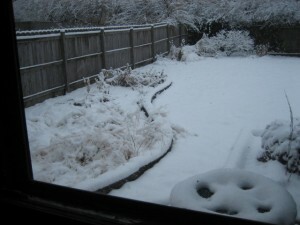 These are pictures of my garden taken from my kitchen window this morning. Looking forward to greener days in the garden next year, but at the moment I’m enjoying this beautiful, relaxing and lazy day! Happy Christmas and may 2011 bring you health, joy and great meals enjoyed w/ your friends and family!